A wonderful first trip into the Lispector interior. Amazing work for such a young woman. Lyrical and beautifully written. Easy to see the Hermann Hesse influences. I am not sure at all how she pulled this book off, but the sophistication was remarkable. 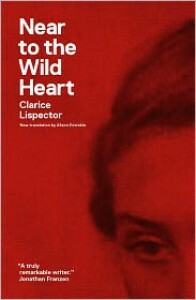 It was a very slow read for me as I really was not interested in much of what was going on in it, but it was interesting for me to behold this Lispector power, unleashed and untamed.